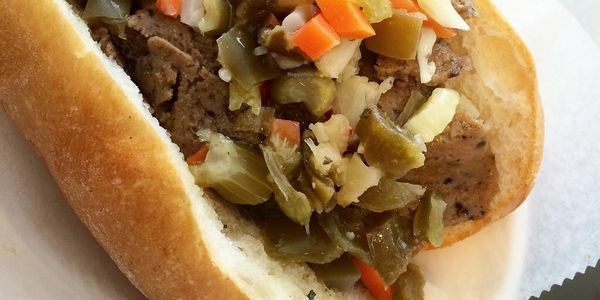 petizione: Sign If You’d Eat the Heck Out of Vegan Portillo’s! Sign If You’d Eat the Heck Out of Vegan Portillo’s! Portillo's is a Chicago institution that most of us grew up on. Hot dogs, burgers, Italian beef - it’s dad food and we’re here for it. But these days lots of us are vegan for ethical reasons or plant-based for health or environmental reasons - meat alternatives are a $3.3 billion business! We’re not asking Portillo’s to go vegan (although that would be rad) but we are asking for better options than the current “veggie sandwich” that is little more than condiments on a bun. Why not with with a local meat alternative brand like Upton’s Naturals for a vegan Italian “beef,” or hop on the Impossible Foods trend? If you make them, we will come.